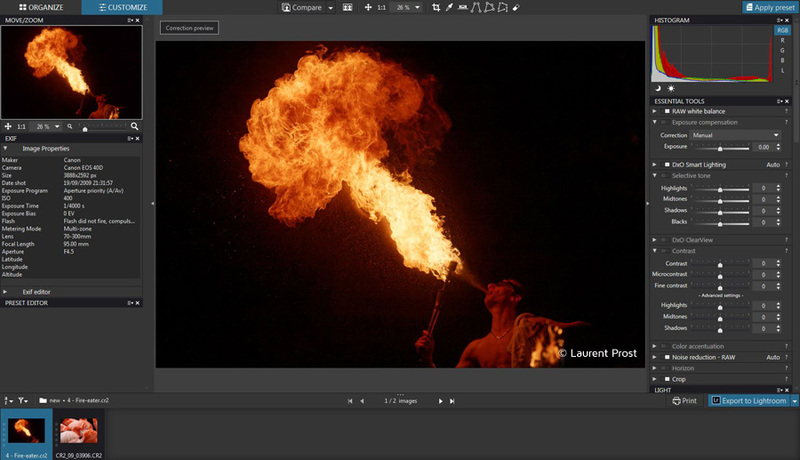 This tutorial details the non-destructive workflow between DxO OpticsPro and Adobe Photoshop Lightroom, allowing you to easily extract RAW images from your Lightroom catalogue and then re-import them after processing. It so happens that many photographers use both applications and have been looking for a way to get them to work together as closely and easily as possible. To achieve a simple workflow, DxO OpticsPro 10 comes as a plug-in for Lightroom, and offers a new “Export to Lightroom” feature. This plug-in allows you to transfer your RAW files into a dedicated project in DxO OpticsPro directly from Lightroom. Further, starting with version 10, this workflow also works with RAW files that have already been converted into DNG format, so long as the original RAW file is also supported by DxO OpticsPro. The “Export to Lightroom” feature lets you automatically return the processed images back into the Lightroom catagory, side-by-side with the originals, all while preserving the original metadata. 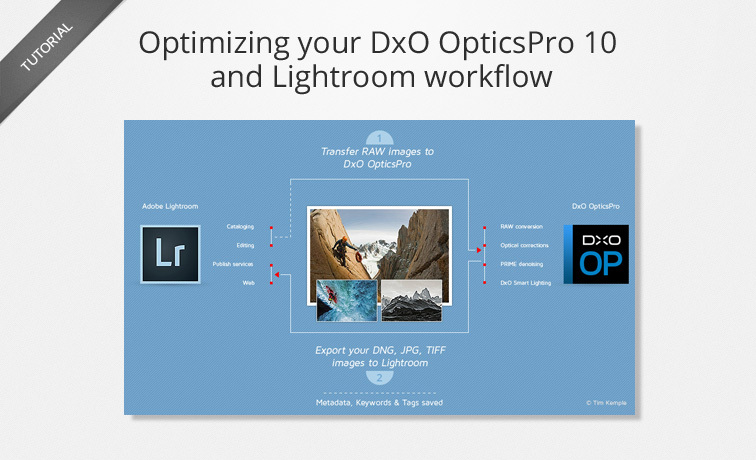 Thanks to this workflow, photographers who want to manage their images in Lightroom can take advantage of DxO OpticsPro’s superior technology (e.g., RAW conversion, automatic corrections, optical corrections, DxO PRIME denoising technology, DxO Smart Lighting tone correction, and many other features) when processing their images. The plugin for transferring Lightroom files to DxO OpticsPro is installed by default at the same time that DxO OpticsPro is installed in Windows, and during the first launch of the application in OS X.
DxO OpticsPro 10 and Lightroom. However, both programs have their own proprietary RAW file demosaicing and processing engines, and they are not compatible with each other. Indeed, the rendering of a RAW file in DxO OpticsPro will not be the same as in Lightroom, and vice-versa; further, this incompatibility applies as well to corrections. Specifically, if you change the blue of the sky in DxO OpticsPro, and then open the same RAW file in Lightroom, you will not see the DxO OpticsPro correction. Similarly, if you apply a black & white conversion in Lightroom, and you open the RAW file in DxO OpticsPro, all you will see is the original colored image. 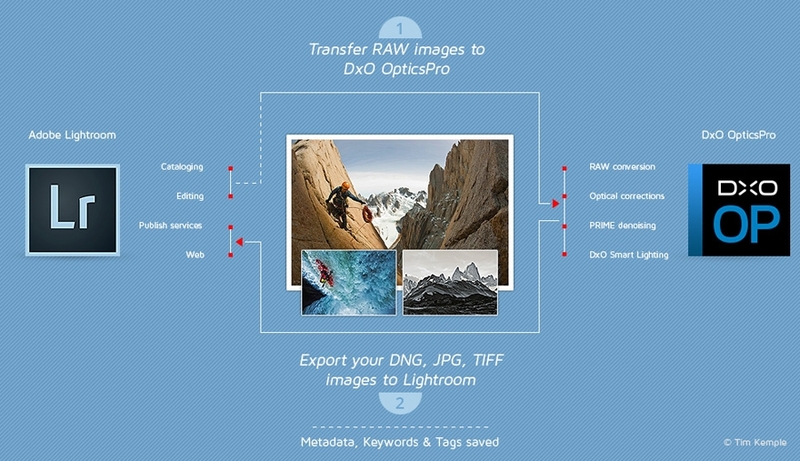 DxO OpticsPro: Correction and processing of RAW images. Lightroom: Management of images and metadata (i.e., cataloguing), sorting, image distribution (slideshows, web galleries, photo books), and printing. . Photographers who manage their images in Lightroom, but who wish to occasionally or permanently use DxO OpticsPro’s image processing to substitute for Lightroom’s Development module. Photographers who generally work with DxO OpticsPro, but who want to manage their stock of images. 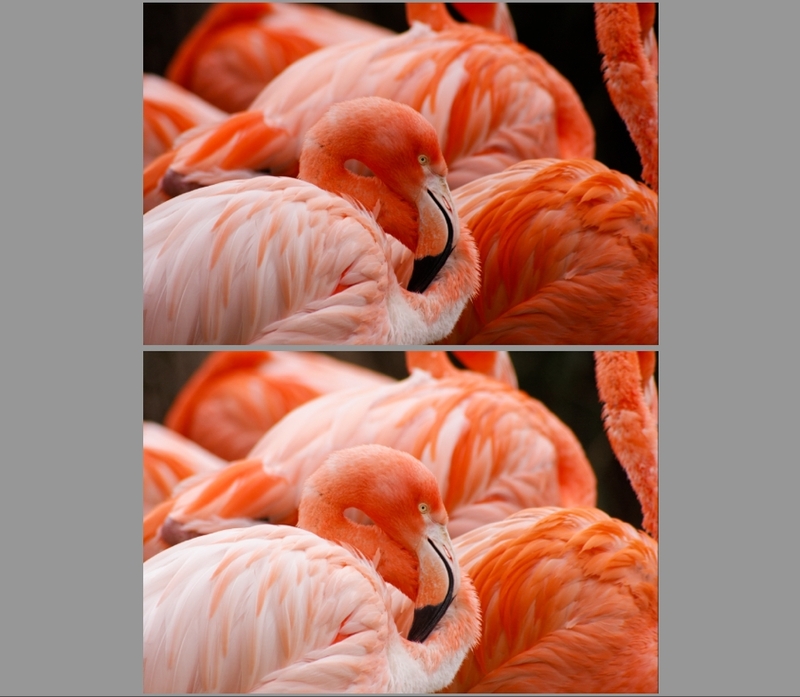 In both cases, it is possible to envision the sharing of image processing tasks: for example, using DxO Optics Pro’s basic corrections, and then touching up the same images in Lightroom. In both cases, it is possible to envision the sharing of image processing tasks: for example, using DxO OpticsPro’s basic corrections, and then touching up the same images in Lightroom. First off, Lightroom does not permit sending a RAW file to a different application, including Photoshop. You must create a TIFF, JPEG or PSD file to do so. 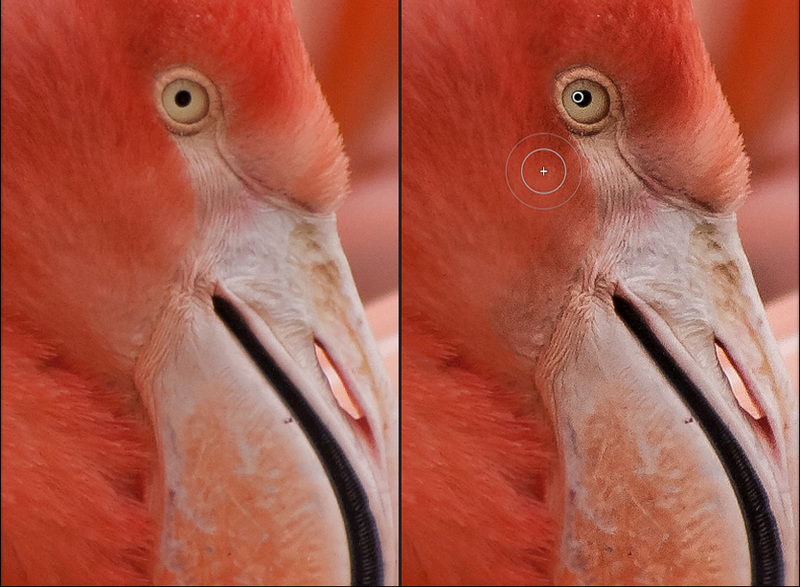 However, the plugin for DxO Optics 9.5 has found a way around this limitation. Starting with version 10, DxO OpticsPro supports files converted to DNG in Lightroom or Adobe DNG Converter, for a more efficient workflow. Lightroom lets you import, sort, and catalog your images. You can also edit the metadata: keywords, IPTC fields (description of the image content), and star or color rankings. At this point it serves no purpose to correct anything, since the corrections will not be visible once you open the file in DxO OpticsPro. In Lightroom, select the file or files to transfer in the Filmstrip or Grid view. 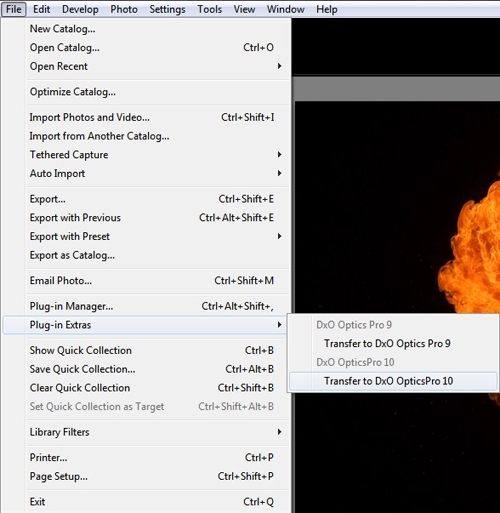 Select Transfer to DxO OpticsPro 10 in the File > External Editor–Extras menu. 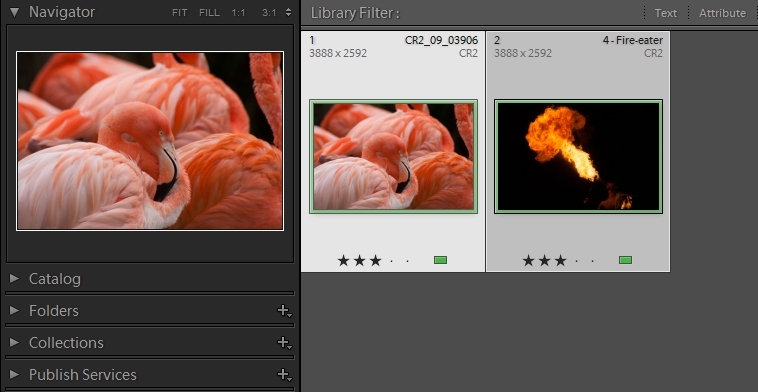 Selecting a file in Lightroom. Lightroom: Transfer to DxO OpticsPro in the File > External Editor-Extras menu. When the RAW file is transferred into DxO OpticsPro, you will no longer see any Lightroom corrections, but only those that are made via the DxO Standard default preset and the appropriate DxO Optics Module. DxO OpticsPro displays the image (or images) in the Customize tab. 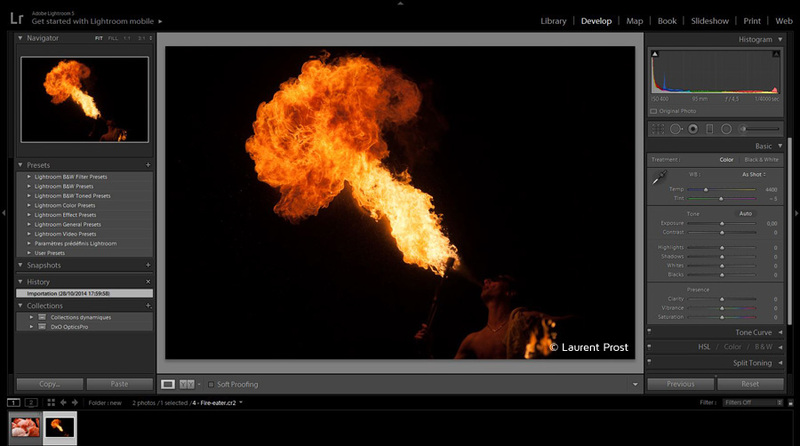 The Export to Lightroom button is automatically displayed on the bottom right in the Image Browser toolbar. A Project named Lightroom 1 (then Lightroom 2, 3, etc.) is automatically created in the Organize tab, and contains the transferred image or images. The open image in the Customize tab. Automatic display of the Export to Lightroom button. 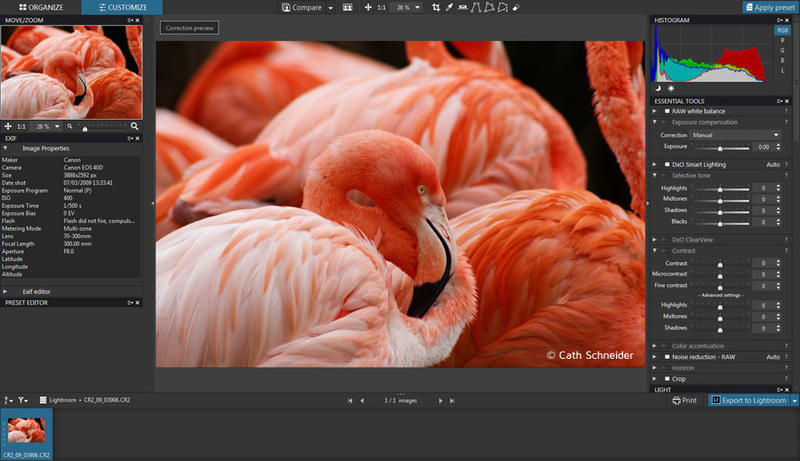 Automatically-created projects containing the images from Lightroom. 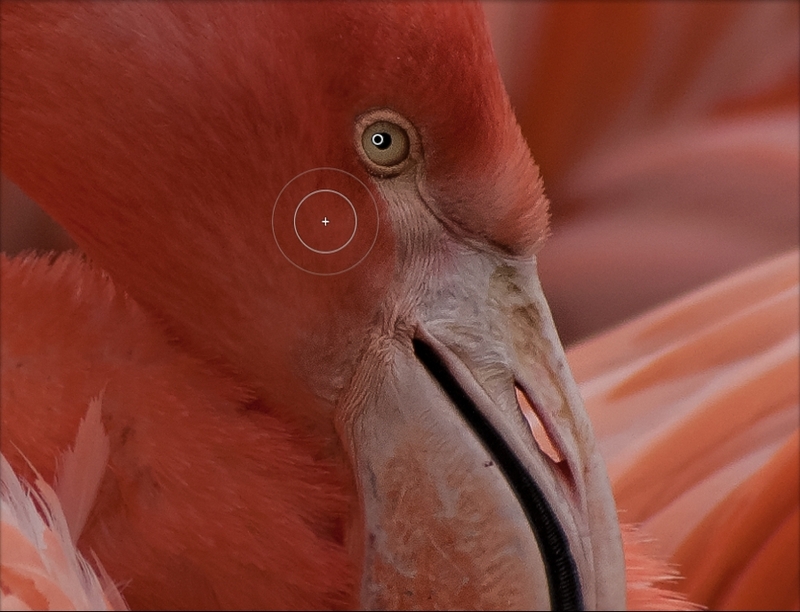 Correct your images in DxO OpticsPro as you usually do — there are no restrictions with respect to the application’s unique features, including its optical corrections, DxO Smart Lighting, DxO PRIME denoising, and being able to an artistic touch if you also own DxO FilmPack. To learn more about DxO OpticsPro’s many tools for correcting and processing RAW images, consult our tutorials, “First steps with DxO OpticsPro 9” and “First steps for advanced users of DxO OpticsPro”. DNG: This is linear DNG, which lends itself well to retouching and additional corrections, and lets you preserve a high-quality workflow in Lightroom. TIFF: This format also permits additional corrections in Lightroom (as in other image processing software), while still maintaining maximal quality. JPEG: This format offers the advantage of easiness and universality, but in order to maintain a high-quality workflow, you should opt for DNG or TIFF format instead. If you want to work on light and color in DxOOptics Pro, we recommend that you export your image in TIFF format so as to avoid any surprises in the rendering. If you prefer doing light and color work in Adobe Lightroom and want to use DxO OpticsPro only for corrections tied to details and geometry, the DNG format will allow you greater flexibility. Select the file or files that you have processed in DxO OpticsPro. Click Export to Lightroom to the right in the Image Browser toolbar. In the dialog box that displays, select the output format as well as the associated options (compression, depth, ICC profile, etc.). Selecting files to export to Lightroom. 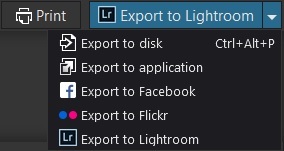 The Exporter to Lightroom button. The Exporter to Lightroom dialog box. The first time this occurs, a Set of collections named “DxO OpticsPro” will be created. Each time you export images processed in DxO OpticsPro, a new collection will be placed within this Set of collections, named with the date and time of the transfer. A stack will be created with containing the processed image along with the original (to see this, right-click on the image and then choose Display the Library folder in the contextual menu). The contents of the collection will be displayed in the Grid view mode and in the Filmstrip. The Set of collections created in Lightroom upon file return. The image exported by DxO OpticsPro is automatically stacked with the original. By activating the automatic writing of XMP files (Catalog settings > Metadata). By selecting the files and then saving the metadata by using the keyboard shortcut Ctrl+S (PC) or Cmd+S (Mac). The metadata is preserved during the various transfers between Lightroom and DxO OpticsPro. DxO OpticsPro’s compatibility with the XMP standard means that star classifications are preserved during transfers. Stars defined by Lightroom and by other external programs are automatically read by DxO OpticsPro from XMP or EXIF data, and the star system ranking is preserved during processing. Since version 10 of the software, star rankings defined in Lightroom are visible in DxO OpticsPro, and any changes to the rankings made in DxO OpticsPro 10 are now transferable as well: in other words, the new ranking is written in the output file, so that the stars can be read by other programs. Making additional corrections in Lightroom. Making additional corrections to the original in DxO OpticsPro. Save options for the file re-exported to Lightroom. The saved file includes the changes made in DxO OpticsPro as well as the additional Lightroom corrections. 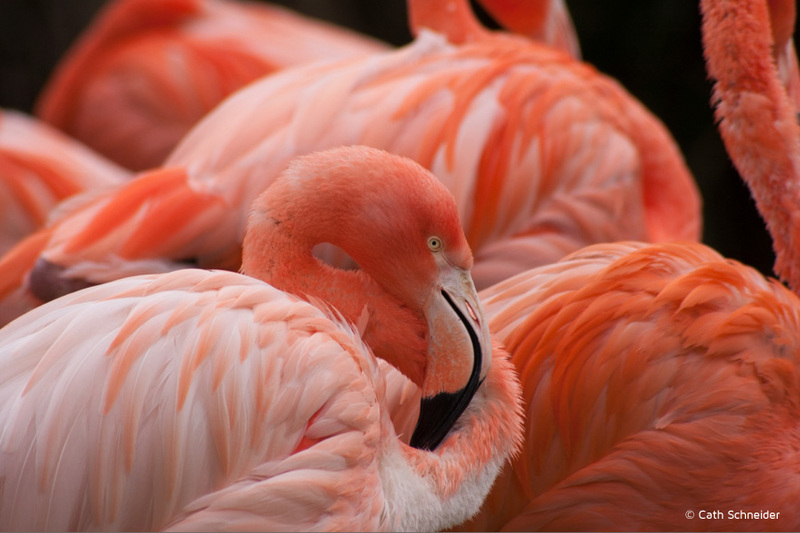 Select the original file in Lightroom. Select Transfer to DxO OpticsPro 10 in the File > Plugin – Extras menu. Make the corrections you wish in DxO OpticsPro (the corrections the first time around having been saved, of course). Click on Export to Lightroom. The dialog box will let you choose between overwriting the existing file or creating a new name for the file. The file will open in Lightroom with the latest changes you’ve made in DxO OpticsPro, as well as with the additional corrections you’ve made in Lightroom to the previous version of the image. Apple, Mac OSX are trademarks of Apple, Inc., registered in the United States and in other countries. Other trademarks and trade names may be used in this document to refer to either the entities claiming the trademarks and trade names or to their products. DxO Labs disclaims any proprietary interest in any trademarks or trade names other than its own.